Humans often associate specific colours with particular events, emotions and even moods and now, experts found navy blue is the most relaxing colour. They say surrounding yourself with blue clothes, objects and accessories could help you lead a more relaxed life. Calmness is most inspired by dark blues, turquoises and pinks while the colours of luxury include purple, orange, and white. Research from the University of Sussex and fine paper company G.F Smith asked 26,596 people from more than 100 countries to name their favourite colour. 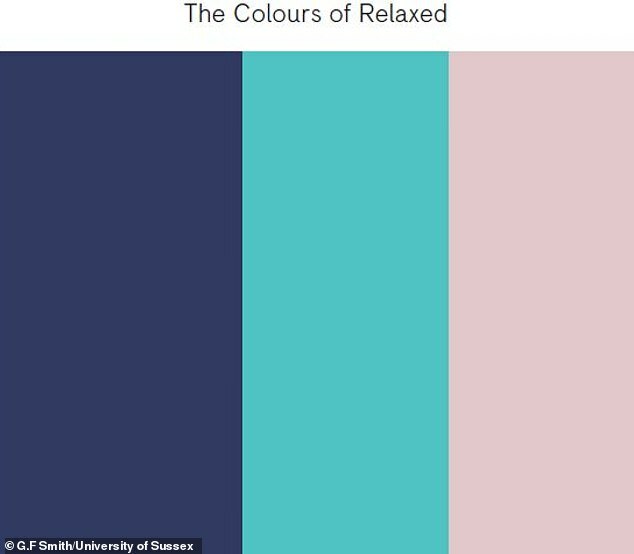 The researchers, led by Professor Anna Franklin from the school of psychology at the University of Sussex, then determined what word they most associate with this hue. Some of the most common words linked with these colours were happy followed by calm, bright, warm, sky, sea, fresh, vibrant and summer. The survey revealed that globally people associate the colours of ‘strong’ with shades of blue, red and orange. Calmness is most inspired by dark blues, turquoises and pinks, while notions of the future are most often associated with shades of green.